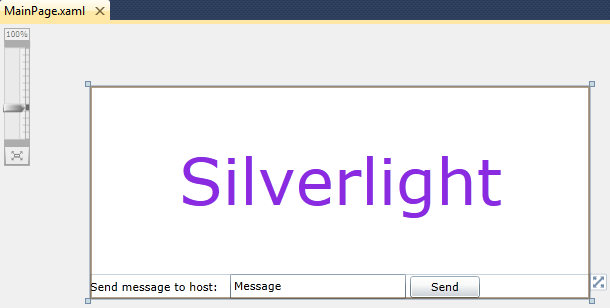 The Silverlight sample demonstrates the interaction between a Delphi host and a Silverlight plugin. This sample shows how to load and show a Silverlight plugin inside a Delphi host, and how to establish communication between host and plugin. For this sample we have a Silverlight plugin that shows animated text and is able to send messages to the host application. If you need more information on how to create Silverlight plugins, please refer to this article. This plugin is supposed to communicate with the host app, so it requires special security settings to be able to send data out of the Silverlight sandbox. To allow it to do so, it should run in the so-called Elevated Trust Mode. AutomationFactory.IsAvailable - We need to perform this check first to ensure that we can use AutomationFactory methods. dynamic Host = AutomationFactory.CreateObject("Hydra.Host"); - Asking for a host object with a specified name (the name of the object is user defined). The host will handle this call and return a reference to the host object. Host.SendMessage(MessageBox.Text); - Now that we have a reference to the host object, we can use its properties or call its methods. Please note that since Silverlight allows only late binding, there will be no IntelliSense support or compiler warnings to help prevent errors. As you can see, we are using dynamic. In order to do so we need to add a reference to the Microsoft.CSharp.dll assembly. 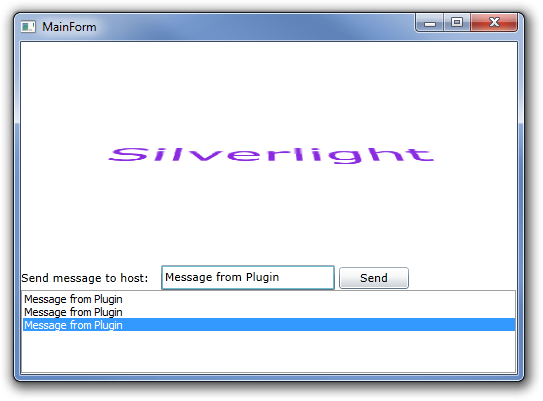 Our host is a Delphi application that is able to show the Silverlight plugin and to receive messages from the plugin. For more information on how to create a Delphi VCL host application, please refer to this article. ModuleManager.LoadModule - This method allows you to load a plugin module with a specified path. Module manager will automatically detect the type of the module and will use the appropriate method. It also provides a couple of methods for module loading, such as loading from a list of file names or loading using a search pattern. ModuleManager.CreateVisualPlugin - This method will create an instance of a plugin with the specified name and assign this instance to the Instance variable we defined above. 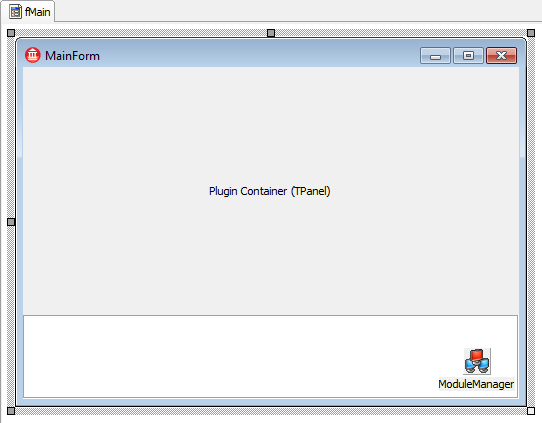 It can also show the plugin content in a container represented here by PluginContainer. First it checks for a ProgId, and, if plugin is asking for the host object, it creates a new instance of TCustomObject and returns it to the plugin. As you can see, the custom objects is inherited from the THYDispatchWrapper class. This class will automatically process calls from the Silverlight side and route them to the appropriate methods or properties. Please note that in order to be visible to Silverlight, your methods must be placed in the public section and properties should be in the published section.